We take our Ralph to Dr Ramesh and we absolutely love him! He is obviously very knowledgeable with and thorough with our visits. He does a lot of the little extra things as well such as unscheduled follow up calls just to make sure things are going okay. We’ve been going to All About Pets for several years now. The very first time we went in years ago, Dr Rimmasch was the one who helped us. We could tell right then how much he loved animals! He’s great with our dogs and we won’t see any other veterinarian. All About Pets has competitive prices and really excellent care. After I brought in my dog, they gave me a follow up call a week later (the actual veterinarian who saw my dog) to check in and make sure everything was going well and allowed for any follow up questions I had. Dr. Rimmasch and his staff are absolutely WONDERFUL! They are caring and considerate, and treat our pets like they are one of their own. We’ve been going to Dr. R for over 12 years and can’t imagine going anywhere else. We appreciated Dr. Rimmach’s honest assessment of our pet’s condition and our options. The compassion and understanding shown by him and his staff was also very much appreciated. We were allowed all the privacy we needed and did not feel rushed throughout the entire process. Their mailed follow-up sympathy card also reflected positively on the professionalism of “All About Pets”. All About Pets is a full service veterinarian hospital that sees cats and dogs. Our hospital is AAHA-accredited. Only a small percentage of pet hospitals go through this voluntary inspection of procedures and services. We pride ourselves in providing complete care for your pet. 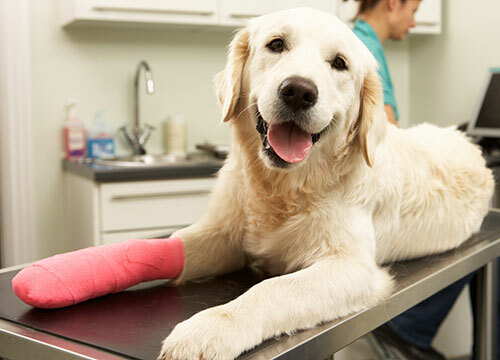 Our doctors have over 50 years of combined veterinarian experience and have specialties in dentistry and orthopedics. The knowledgeable staff has degrees in veterinary technology, biology, and bioveterinaryscience. The fantastic groomers have over 35 years of experience beautifying dogs and cats. When you are welcoming a new puppy or kitten into your home we strive to educate about nutrition, development, and preventative care. We offer services for all stages of your pets life, including wellness packages, sterilization surgeries, and continued preventative care. As your pet ages, we will guide you in their care. In the event where your pet becomes ill, we have the essential diagnostic equipment and vital medications in house.